Living here on earth is not easy, no doubt. It might appear that some have it easy but that is just how it appears. Glory Days by Max Lucado reminds us of how hard it can be living this life by walking us through the book of Joshua. His goal is not for us to just see the battles but rather to learn to see the God who fights for us. Joshua’s story reminds us we can overcome because He has already overcome. Like all of Max’s books, Glory Days is well researched and Biblically based ENCOURAGEMENT. 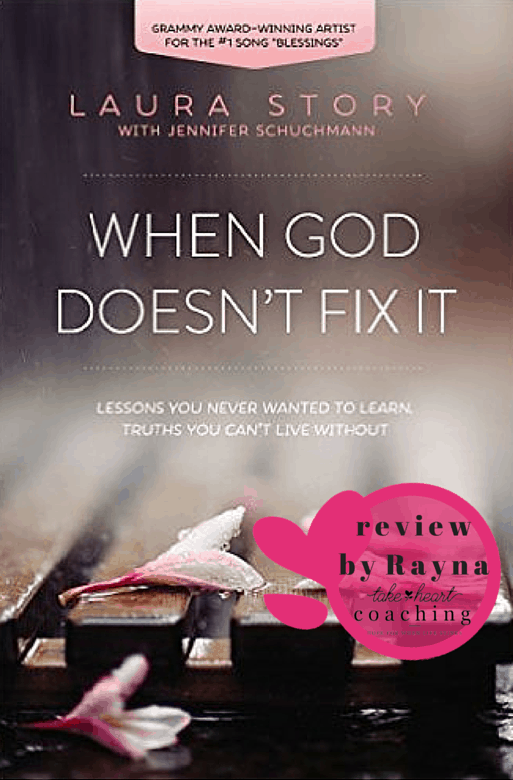 His style of everyday life stories related to scriptures followed by great questions that help you reflect on your life and what God has for your life. Hearing all the ways God fights for us brought such hope to my heart as I read, I was blessed. Finding the courage to cross over the Red Sea and establish our home in the Promised Land is possible with the reminders Max provides in this book. Most of us know Laura Story from her beautiful songs. What I love most about her songs is the vulnerability of the lyrics and her way of sharing truth, it touches us all. I was excited to see that her book is more of the same. I was amazed and encouraged by her willingness to share her struggles and heartaches. Life has been full of ups and downs for Laura and her husband, Martin. 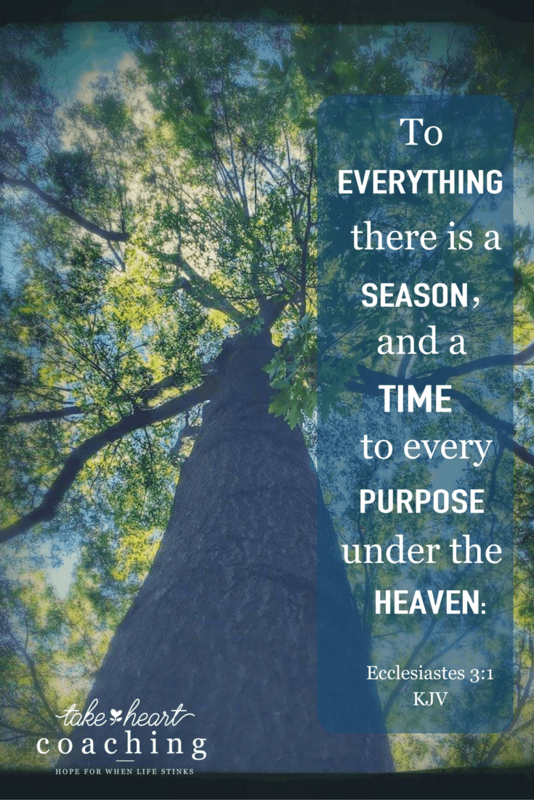 This book is a look into some of the things Laura has learned about God during this season of her life. Laura starts the book reminding us that all of us are just one phone call or major event away from life change we never imagined. In that moment we think life as we know is over. The truth is life as we are yet to know is just begun. I appreciated the way in which Laura ended each chapter by stating a Myth she had believed and the Truth which God had revealed to her through her life. I believe that every Christian struggles with many of the myth’s Laura shares and would benefit a lot from hearing the Truth Laura learned about each one. One of the most meaningful parts of the book was when Laura challenges us to make a list of why questions. When I listed all things I would love for God to tell me why they happened it was pretty long. Laura goes on to instruct us to write down all the answers to our whys that God has given us. I was encouraged because I was able to write a few answers but….there are a lot of my questions still waiting to be answered. Laura admits that most of her why questions are not answered either. She is quick to remind us that God never promises the answers our whys. She then reveals that making the shift from the question of why to how has made all the difference in her life. “Man asks why, Jesus asks How. Man says, “Why did this happen? Jesus says, “How might my Father’s Glory be displayed through this situation?” Learning that God’s Glory can be displayed in spite of our circumstances is a life changing truth. Throughout the book Laura also shares her struggle of sharing her story when there is no pretty bow wrapping it all up. She encourages us all to step out and share our story even in the messy middle. God is working and hearing what he is doing in others’ lives brings great encouragement. The number of people touch by Laura’s honest struggles and her songs about them has continued to blow her mind. You can encourage others too. Be brave step out and share how God’s Glory is working even in your messy middles. These are just a couple of the nuggets of truth I found in Laura’s writings. I know that you will be blessed and challenged by reading this book too. Laura closes her book with these powerful statements…. How have you found peace in God’s answer to the HOW questions in your life instead of staying stuck in the whys? When was the last time you were distracted, totally freaked out and incapable of accomplishing the task set before you? Just a few weeks ago I was right there; totally overwhelmed, frustrated and distracted by my environment. I couldn’t accomplish the task at hand! I was driving my regular 220 mile trip to Kansas City to stay with dad, when I had a tire blowout! That was scary. When I got out of the car to look at the flat, of course it had to be the drive side back tire. I drove a short distance to find a safe place to change the tire but there was no such thing. I had to just do it! When I got out, I was discouraged even more, there was only five feet between my tire and the white line. Not to mention the cars and trucks were flying by at more than 75 miles per hour shaking my car as they passed. I got the jack and tire iron out to try to break the lug nuts loose. I don’t know when the last time was you changed a tire but holy cow those things are on tight. As I struggle to loosen the lug nuts I could hear trucks and cars coming toward me and I would look up in fear. I was not able to focus on what I was doing. I got back in my car and call my husband and he gave me some tips to get the tire iron to stay on the lug nuts in order to be able to loosen them so I got up my courage and got out of the car again. I took a deep breath and said to myself, I can do this, I can do this. As I bent over to start trying again and another car came flying by, I just couldn’t focus. I was so distracted, I kept looking up and thinking of all the terrible things that can happen if a car or truck were to come over the 5 feet and hit me. Then I realized I can’t do this… I can’t do this if I’m worried about getting hit by a truck. Then I put my head down and I focused on breaking those lug nuts. I did it! I thanked the Lord and went to work on the next one! Just about that time a nice gentleman finally stopped to help me. It was so wonderful to have someone take it care of it for me. Trusting God first then praising Him for providing some much needed help. As I reflect on that experience I think about how easy it is to be distracted by all the what ifs in life; what if I don’t succeed, what if this doesn’t work, what if I don’t get the job, what ifs and fears are around us every day. Here are a couple of things I do to quiet the what ifs…. Memorize Scripture. Here are just a few scriptures to help you remember God’s sovereignty. Take a deep breath and look at your situation from a different perspective. WebMD.com states, “Deep breathing is one of the best ways to lower stress in the body. This is because when you breathe deeply, it sends a message to your brain to calm down and relax.” When we are able to calm down and relax it gives us time to let the truth of scriptures come to mind. This can give us God’s perspective and help us to focus on the here and now not the what ifs. There are always a million things that could go wrong but we serve a God who knows it all! We serve a God who loves us more than we can even understand! He knows what our future holds so as we start to focus in on the task that he has given us, we can trust him to take care of everything else. What do you do to quiet the What Ifs? How are you trusting God to take care of things you can’t fix, things you can’t control or tasks set before you?